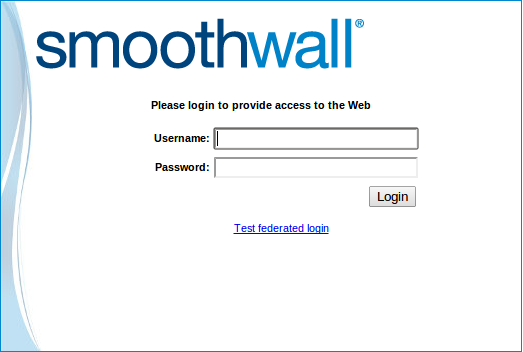 You must configure your Smoothwall to use Federated Login. 2. Using a text editor, create a new file called federated.json. "psk" : "this is a secret"
• "name" : "Please login to provide access to the Web"
• "psk" : "this is a secret"
matches what psk is in the script. For more information, see Creating Your Google App Engine Application. It is possible to define more than one Federated Login provider. For three providers, add a third list element, and so on.